Is She a Miss, Ms. or Mrs.? Doesn't it sometimes feel that traditional forms of address are going by the wayside? Many people are on a first-name basis these days, whether they like it or not. One reason for this, aside from creating a more casual society, is that on the spot we don't how to address people. Particularly women. Men are easy to address. Generally, adding a Mr. in front of his last name keeps propriety intact. Unfortunately, addressing a woman can be a little confusing. Is she a Miss or a Mrs.? Will she be offended if she is married and you call her Ms.? I'll explain the current tradition and allow you to draw your own conclusions. Fortunately, a "Miss" is pretty easy to ascertain. This form of address is applied to any young lady eighteen years old or younger. If you are unsure of a young lady's age, and you're quite sure she isn't married, it's fine to call her "Miss". Most young women won't mind, and if they do, you will - hopefully gently - be corrected. Now we're getting to the cause of confusion. A "Mrs." is a woman who is or has been married. This honorific is still used when a woman is widowed or divorced (i.e. Mrs. James McCall or Mrs. McCall). Notice, however, that "Mrs." is used with the husband's first and/or last name. An evolution of this tradition came about when divorce and remarriage rates grew, allowing for a woman to use her first name with the title if she kept her husband's last name (i.e. Mrs. Sally McCall). A "Ms." is a woman over the age of eighteen who may or may not be married. As with the use of "Mr." it is somewhat of a catch-all form of address to use with a woman's first and last name. Typically, "Ms." is used with a woman's maiden name. Even when married, some women choose to continue using their maiden name, so "Ms." fits with this choice. Why Do We Need Titles? Using titles is one way we can keep courtesy intact. It is not uncommon to be introduced to someone and immediately launch a conversation addressing that person by her first name. Traditionally, two people did not get this personal as acquaintances. They waited until they were friends before using first names, eliminating any mystery about where you stood with other people. How nice it was when addressing your acquaintance as "Ms. King," she said to you, "Please, call me Marie." It left no question that you had been promoted from acquaintance to friend. You felt special. Now, in the twenty-first century, we rarely experience the flattery of stepping over this boundary. But in any case, it would not be viewed as showing lack of respect, if you use Mr/Mrs/Ms. 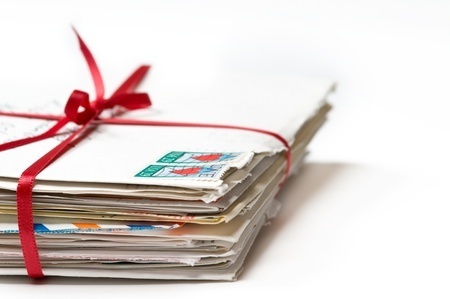 However, on the occasion of sending someone a card or letter, using a title when addressing the envelope is still the proper method. In spite of tradition, we still have our personal preferences. 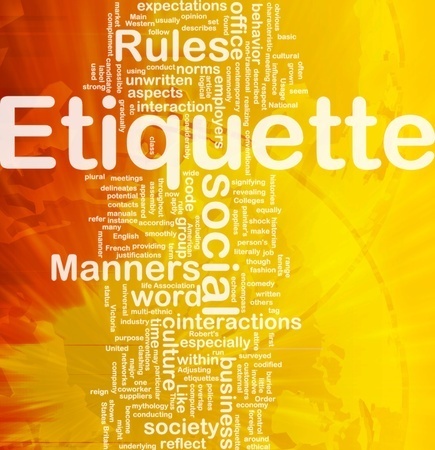 And etiquette rules are simply guidelines. When in doubt, I urge you to go with tradition and use Ms. or Mrs. as outlined above. If the woman you are addressing has a strong objection, she should also have the strength to ask you to please call her what she prefers. And if you are that woman, remember to be kind, and know that the faux pas was only made because someone was attempting to show respect for you.